We offer the fastest turn around time in the business. Our aim is to ship every order within 24-48 hours to ensure that you have your love lock in time for that special moment. We ship worldwide and offer economical standard shipping service via USPS and expedited service via FedEx. We understand how important your love lock is to you and yours. 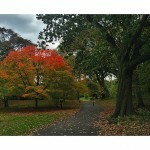 We receive thousands of special requests and do our very best to fulfill our costumers’ needs. 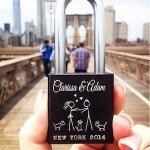 Looking for a special location to place your love padlock or just a great pizzeria while you’re in NYC? Reach out to our friendly team any time, we are happy to help! Fun, Powerful and Easy to Use! Our claim to fame is the unique Love Lock Designer. 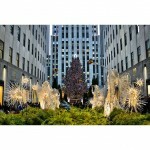 It allows our customers to be inventive in ways that can’t be found anywhere else! Spread Your Love in a Multitude of Ways! Let that special someone know how you feel by creating a love lock as unique as your relationship! Put a lock with that rock! Love locks are the perfect way to propose, symbolizing an unbreakable love of a lifetime. Going on a trip? Make a love lock to take with you! They’re a great memento for all your adventures. Don’t forget those favorite furry friends! Create a lock just for your pets and use it however you please. Celebrate and commemorate those that have gone before you by creating a lock to show a love that can’t be broken. Show a friend your appreciation. 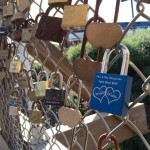 Love locks are awesome ways to say thanks to your partners in crimes and those that always have your back. 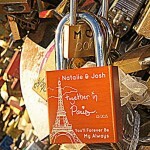 Congratulate the newlyweds by creating a lock that they can cherish and forever remember the best day of their lives. I’ve purchased several of these locks over the past year and I’ve never been disappointed. Lots of options and fast service leaves me coming back for more. Reasonable price is a definite plus as well. Will use again. 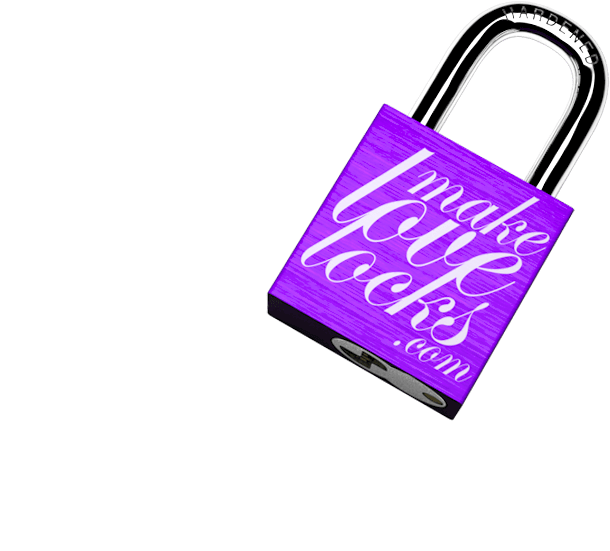 Awesome little design interface on their website to make the lovelock look exactly like you want it. On top of that it was delivered within only a few days which was a nice surprise. Would definitely recommend. Awesome quality & work! Fast shipping! Loved it. Great design and very well done. Thanks! You did an awesome job with our lock. It was the best looking one on the bridge in Paris!! This is an amazing company! They gave me one of the best customer service experiences that I have ever had! The lock was very nice and the inscribing was beautifully done! I would definitely recommend Make Love Locks to anyone! Thanks guys for an amazing lock ! Absolutely LOVED it !! You guys rock ! This is the best customer service I have ever experienced!! 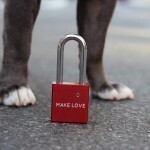 A company that truly aims to please it’s customers:-) love love love my lock!!! And it’s here in time for out trip:-) Thank you so much Make Love Locks!!!! Happily placed on Pont Des Arts in Paris! Thanks for the beautiful lock! Three besties and their lock in Paris! Thanks for the memories! A huge thank you to Paul who went the extra mile (literally) from Brooklyn to Mid-town under the cover of darkness to make a dream come true. Exemplifying the best customer service EVER, and as intrepid as cupid on a mission, he made sure that love found a way in the city that never sleeps. 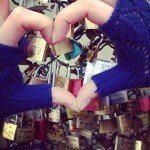 Taken in Paris, on the beautiful bridge with millions of love locks. But thanks to MajeLoveLocks, ours was personalized and very special. Our friends made it to Paris. Thanks again for helping us with their anniversary present. The MLL staff votes for whats popping right now. You asked for it! Be warned!